A state Senate committee voted 7-4 to block the proposal. 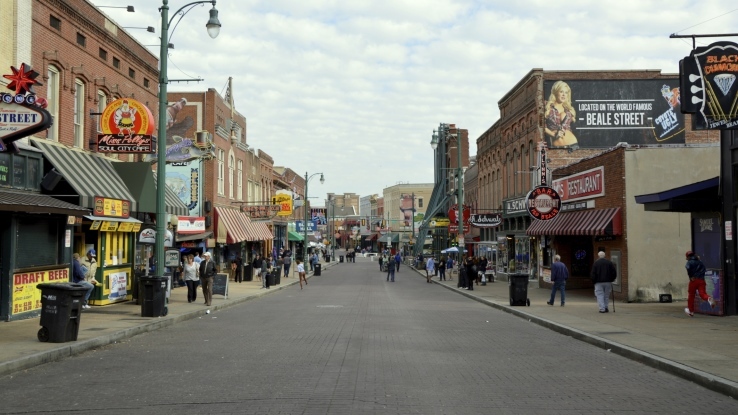 Beale Street, in Memphis, Tenn.
(Bloomberg) — Tennessee Gov. Bill Haslam’s push to expand health care to more than 200,000 low-income residents was defeated as state lawmakers rejected money from the federal government for the plan. Haslam, a Republican, called the legislature into a special session this week to consider a proposal to expand Medicaid under the Patient Protection and Affordable Care Act of 2010 (PPACA). The governor’s plan was rejected by a 7-4 committee vote on Wednesday in the Republican-led state Senate. Tennessee is among states where Republicans have reconsidered expanding public health-care programs under President Obama’s law. Wyoming, Idaho and Florida are also considering Medicaid expansions. Indiana announced an expansion last week. See also: What you have to know about today’s Senate PPACA hearing. Republican opposition to expanding Medicaid access left many low-income Americans still without coverage even as more than 15 million received benefits under the law. The U.S. Supreme Court ruled that states can’t be forced to add enrollees to their Medicaid programs. Twenty-eight states have opted to expand them, including 10 with Republican governors. In Tennessee, medical providers and the business community lobbied for Haslam’s proposal, which was two years in the making. As with other recent Republican expansion plans, Haslam proposed a pilot program that required a waiver from Medicaid officials, and would include changes designed to appeal to Republicans. The Tennessee version included vouchers to help people afford private insurance from their employers, premium payments from beneficiaries and incentives for changing unhealthy behavior. The Tennessee Business Roundtable, which led the business effort in support of the plan, is regrouping, said Executive Director Charlie Howorth. See also: Tennessee shows how Republicans are learning to love PPACA.